Phones operating on both the Android operating system (OS) and Apple OS (iOS) have native parental controls that can be activated prior to turning the phone over to your child. Select Restrictions and then tap Enable Restrictions. You’re asked to re-enter your passcode before accessing the Restrictions area. Restrict access to applications and features on the phone including web browsing, installation of apps, and the phone’s camera. Prevent specific content types including by rating. Block changes to the phone’s privacy settings, including contacts, calendars, and location services. Prevent changes to account settings, such as contacts and volume limit. 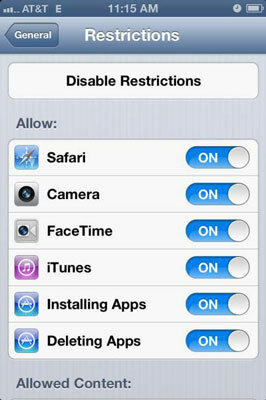 Restrict Game Center features, such as access to multiplayer games. Choose the Google Play Store icon. The Play Store Settings page appears. Select Set or Change PIN, and then create a PIN. 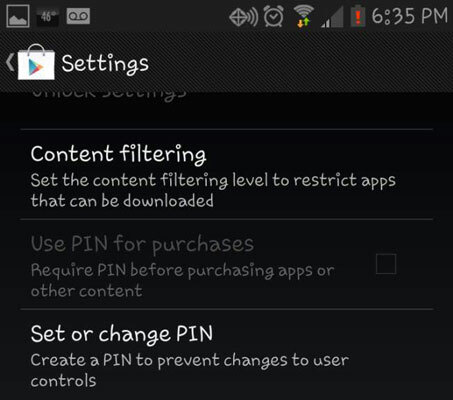 Activate the PIN by selecting Use PIN for Purchases.